We will email you download instructions as soon as we process your order. Please allow one to two business days for processing. We STRONGLY REQUIRE burning your download file onto a CD for backup purposes. The manual is now available online at hosenose.com. Download the manual here. LOGic includes one year of free downloadable updates. Click here for details. SYSTEM REQUIREMENTS: PC running a 32 or 64-bit version of Windows 7 or later. Windows 10 compatible. Try the demo. Click here. 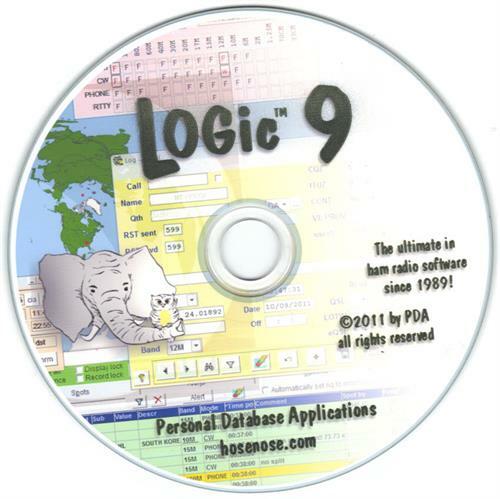 LOGic is licensed for your use on any number of computers, and for use by immediate family members living with you. If you have previous callsigns that you will be logging, or have a spouse or children living at home that are also hams, please make a note of this in the Comments are when you check out.